Life After Midnight: Camping Trip Anyone? 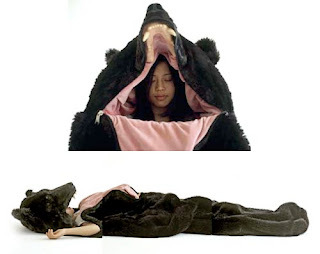 This has to be the best sleeping bag ever masterminded. The concept and design was created by Eiko Ishizawa an artist based in Amsterdam. Looks like it will keep you extremely warm and think of the fun one could have at the local campground...on the other hand don't go attracting any man bears or hunters.